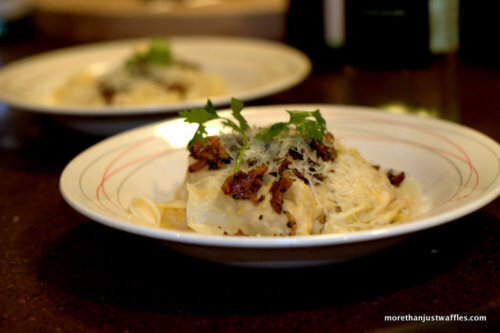 Another LCBO Food & Drink recipe: cheater ravioli. 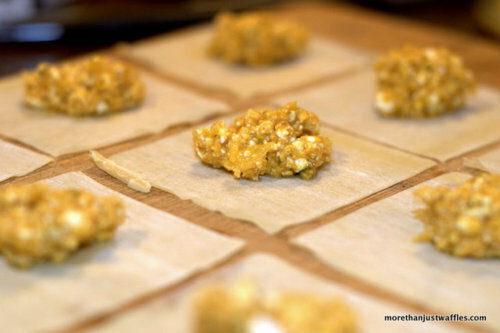 This recipe uses wonton wrappers (which are super cheap!) instead of pasta to expedite the ravioli process. 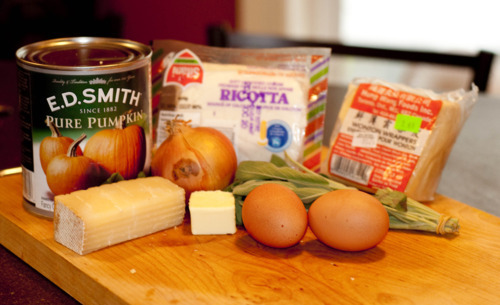 Pictured above is the easy part - mixing together the pumpkin, ricotta, asiago, spices and - once the mixture is cold, an egg. Here comes the time-consuming part. Lay out about 10 wonton wrappers. 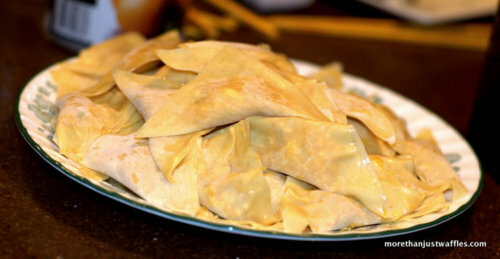 Place a teaspoon of filling on a wonton wrapper. 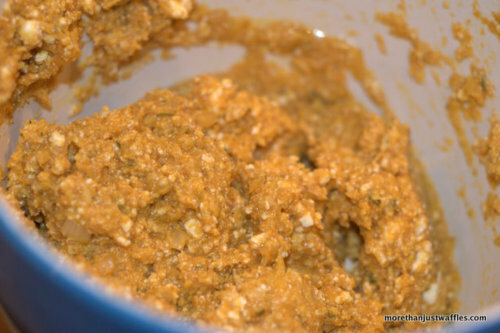 Brush an egg mixture on the edges and fold over. Whooo Whee this took about an hour. It made a lot more than 35 raviolis! You then throw these bad boys into some boiling water and make the sauce. 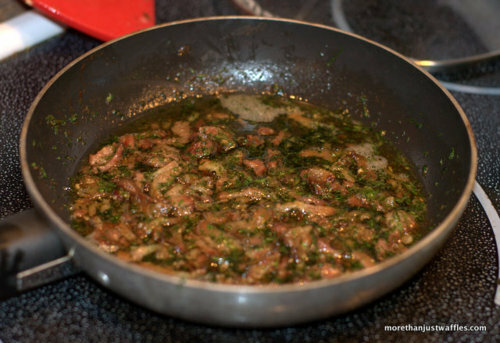 For the sauce fry up some bacon and dice them up and add cilantro and butter (wait more fat? okay why not!). 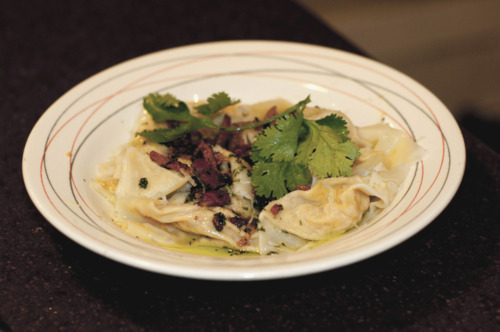 Once the raviolis are boiled (only a few minutes) top with sauce, asiago and cilantro. These were not the most amazing raviolis but they were the first raviolis I’ve ever made! The filling could’ve used a bit more kick - maybe I’ll add some chili powder next time. Thanks to Anna for helping me fold all those raviolis, I probably would’ve given up if I didn’t have some help!